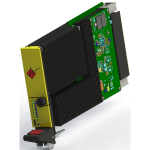 WILDSTAR™ 3U Storage boards are OpenVPX (VITA 65) compliant with 1” VITA 48.1 spacing. They feature a rugged design, with a connector rated for 10,000 mating cycles. 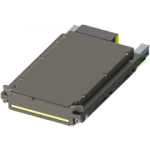 The Storage card comes with standard images to support XAUI, 100GbE and Annap Micro Protocol (Annapolis low FPGA utilization, full flow control protocol ideal for inter-FPGA communication).